The popular food chain McDonald's has opened a brand-new eatery with an international twist in its Chicago headquarters. Called McDonald's Global Menu Restaurant, the new addition is located at 1045 W. Randolph St. in the West Loop. The menu will rotate regularly and currently features items from its restaurants in Brazil, Australia, Hong Kong, Canada and France, the company says on its corporate website. The one-of-a-kind spot also offers classic favorites. At more than 6,000 square feet, the new eatery also includes a Latin American-style dessert center and an Australian McCafe. McDonald's Global Menu Restaurant has gotten off to a solid start thus far, with a 3.5-star rating out of three reviews on Yelp. 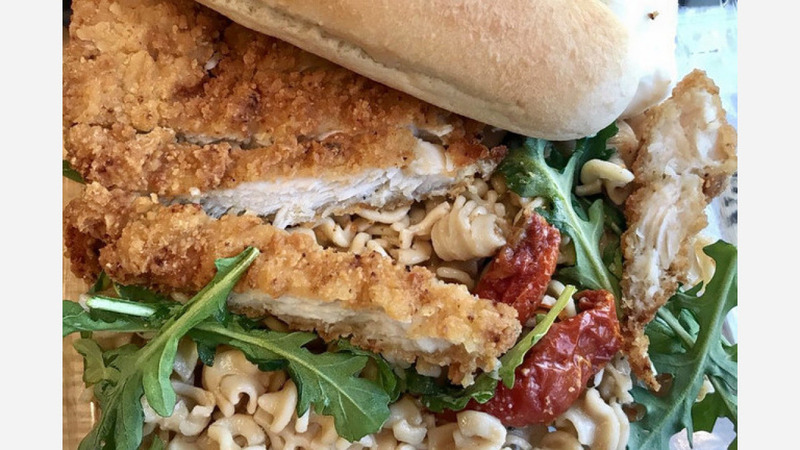 Erin C., who was among the first Yelpers to review the new spot on June 10, said, "Drove in from the suburbs to visit this location. Was very excited to see all the options the global menu had to offer! Was very disappointed when I clicked on the 'sides' portion of the global menu and only cheese-covered fries and one other item came up." And Quiana S. said, "Fresh and made-to-order burgers. Global McDonald's offers a variety of food items from their various locations around the world. The menu is expected to change every two months with different selections." Swing on by to take a peek for yourself: McDonald's Global Menu Restaurant is open from 6 a.m.-10 p.m. daily.